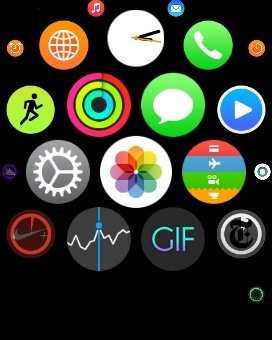 Whether it's to flaunt your new digital face on Instagram or to show off a unique app to your friends, you'll ultimately need to know how to take a quick screenshot with your shiny new Apple Watch. Turns out, it's not that much different than taking one on your iPhone. To capture a screenshot, all you need to do is quickly press and release the Digital Crown and side button simultaneously. 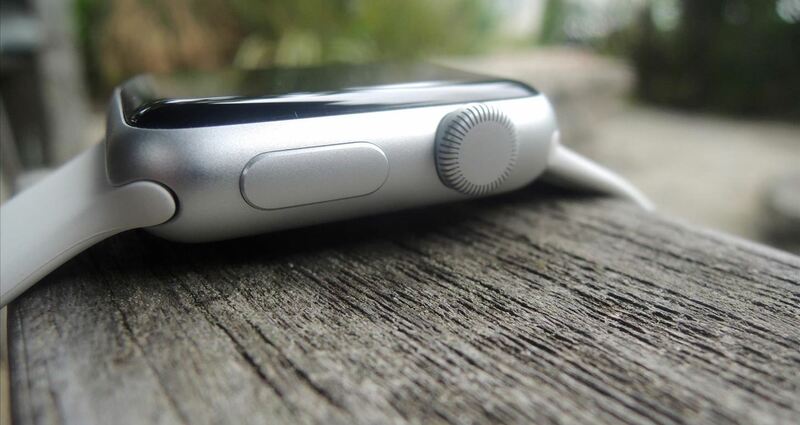 Alternatively, like the iPhone, you can press and hold either button first followed by pressing the second button. Just make sure it's a quick release—if you hold down for too long it will not work. 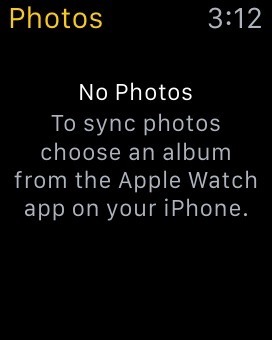 If you haven't done so already, be sure to sync your photos with the Watch through the Apple Watch app on your iPhone. 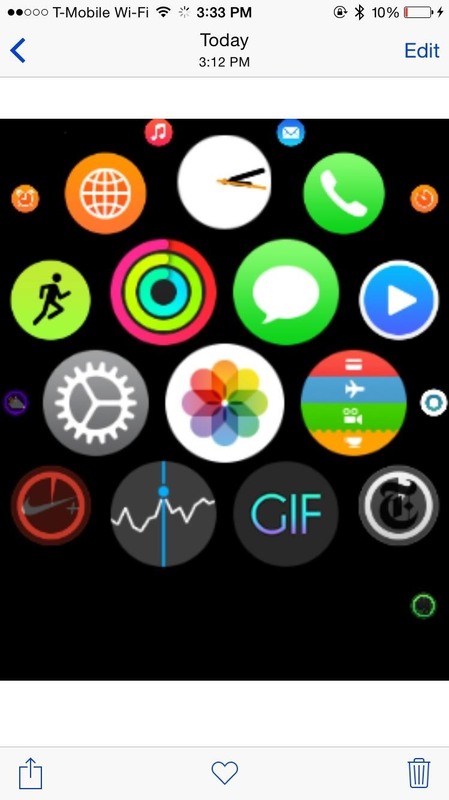 Then just simply launch the Photos app on the Watch to view your screenshot. To share the image, you'll need your iPhone. 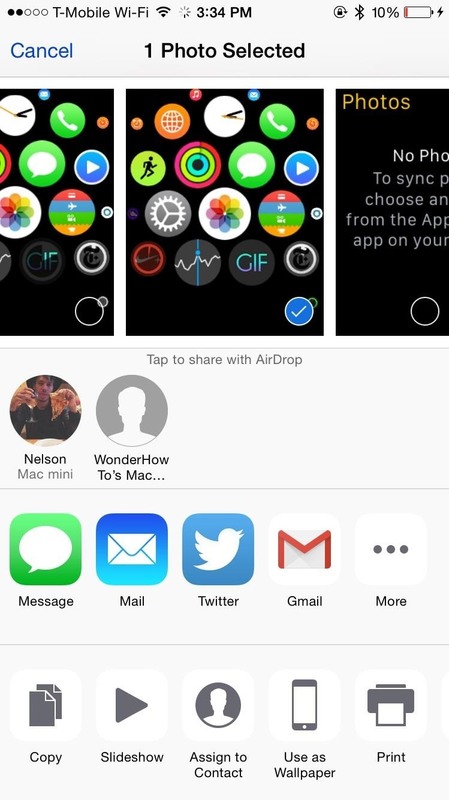 Since the two devices are synced, the screenshot will automatically be added to your iPhone's albums. For your convenience, the screenshot dimensions are 216 x 290 pixels (for the 42 mm size), so they're shared relatively quickly. Follow Apple Hacks on Facebook and Twitter, or Gadget Hacks over on Facebook, Google+, and Twitter for more Apple news, apps, and tips.